The Natural Resources Defense Council (NRDC) reports that by the end of the century, heat-related deaths in the United States are expected to triple as a result of climate change. As summer approaches, Americans dust off the BBQ, slip on their swimming gear and head to the beach. But sun-worshipers often pay a tragic price, and those who opt to stay indoors sometimes struggle to cool inefficient homes. Each year, there are approximately 1,332 heat-related deaths, and with temperatures rising due to climate change, the NRDC claims that this number could rise to 4,608 by 2100. The report, which was recently published in the journal Weather, Climate and Society, paints a bleak picture for the next century. 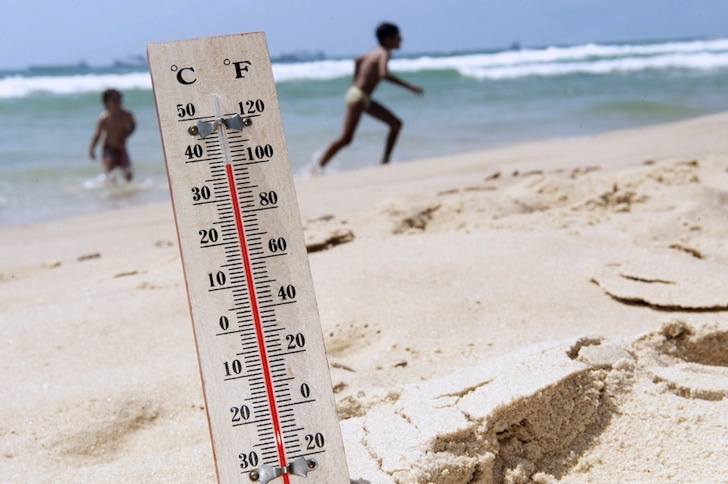 The authors looked at the impact that hotter days and nights will have on heat-related deaths and found that over the next 100 years, temperatures will rise 4 to 11 degrees Fahrenheit as a result of human-induced climate change. Consequently, summers will be hotter—presenting an increased threat to those who already suffer from poor health. The effect will be felt even more acutely in urban environments where glass and asphalt amplify the heat. Areas with more densely-packed populations will leave many people even more vulnerable. The researchers found that of the 40 American cities they looked at, 37 will see increases in heat related deaths. Those hardest hit will be Louisville, Detroit and Cleveland. Louisville, for example, currently averages 39 heat-related deaths each summer, but that number is expected to reach 376 per summer by century’s end. In addition to human costs, the United States could face losses of billions of dollars. A deadly 2006 heat wave in California that caused 655 deaths in a two-week period, 1,620 excess hospitalizations and more than 16,000 additional emergency room visits, resulted in nearly $5.4 billion in costs. Overall, if nothing is done to counter the effects of climate change, the US can expect an additional 150,000 deaths due to excessive heat by 2100. Surely, this now makes climate change a ‘clear and present danger’?